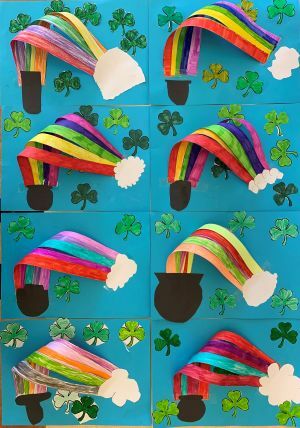 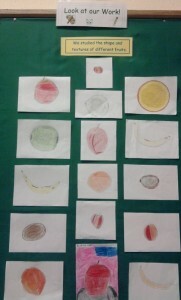 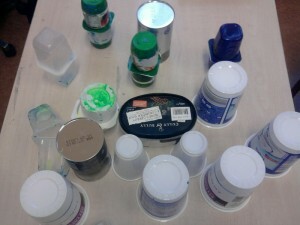 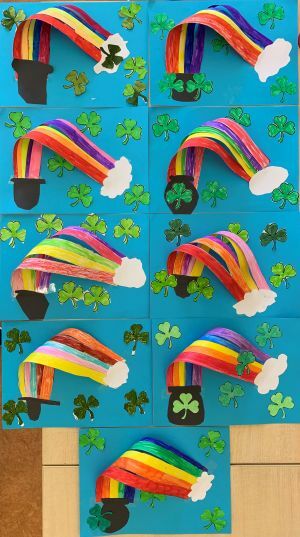 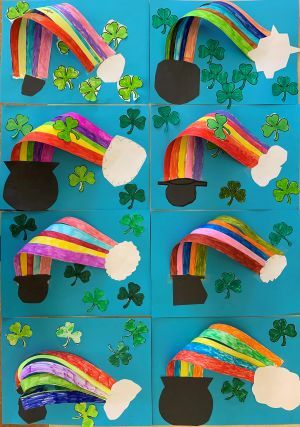 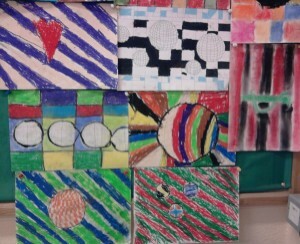 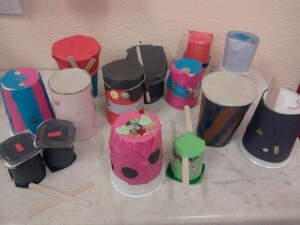 For St. Patrick’s Day 3rd and 4th class created 3D rainbows springing from a pot of gold. 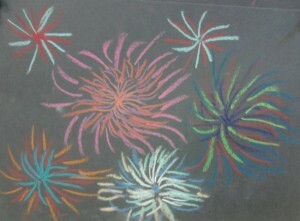 They then decorated their work with shamrock to make them extra Irish!!! 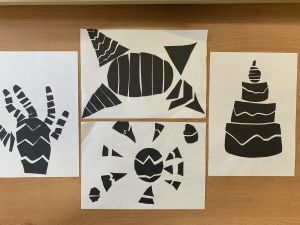 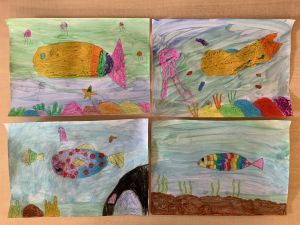 This week we looked at The Golden Fish (1925) painted by Paul Klee. 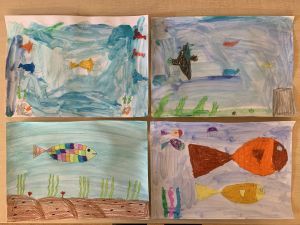 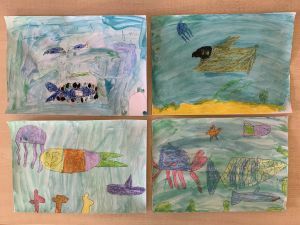 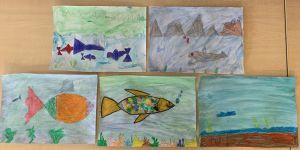 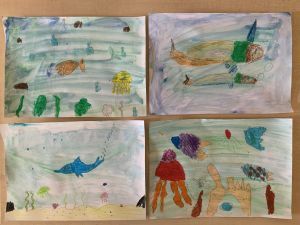 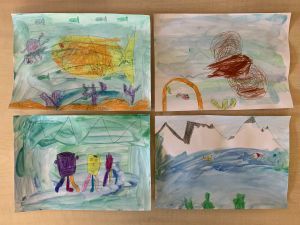 We used crayons and oil pastels to make underwater sea creatures and plants and then brushed over with blue and green watercolours. 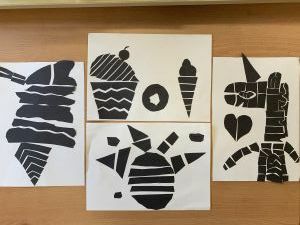 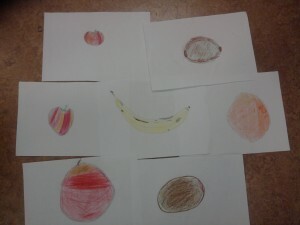 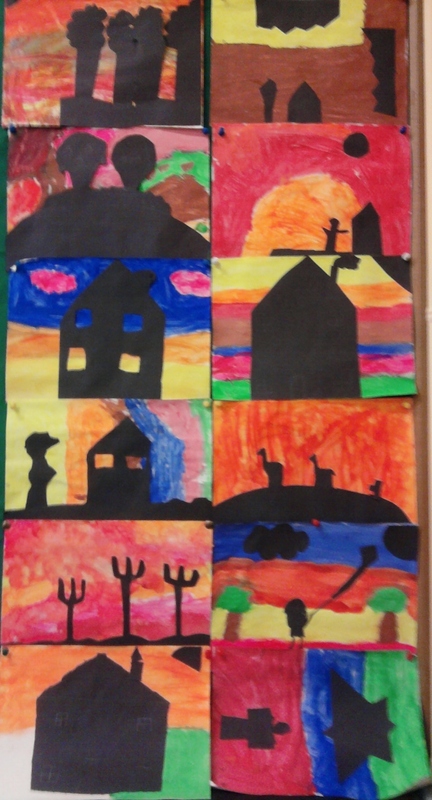 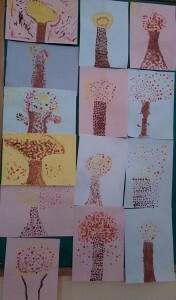 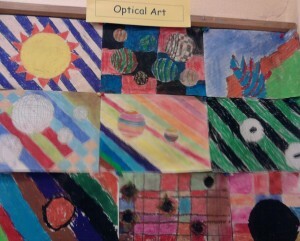 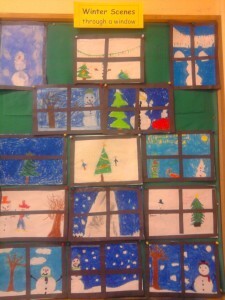 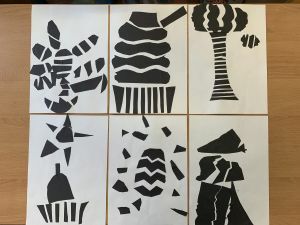 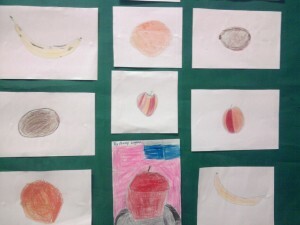 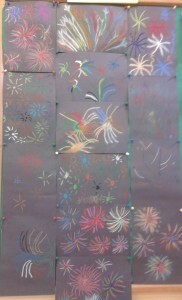 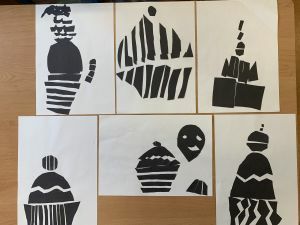 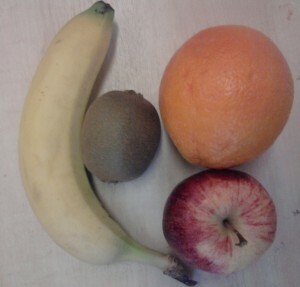 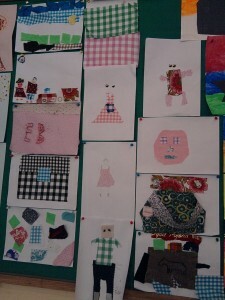 Look at the lovely work we have done since the start of September.